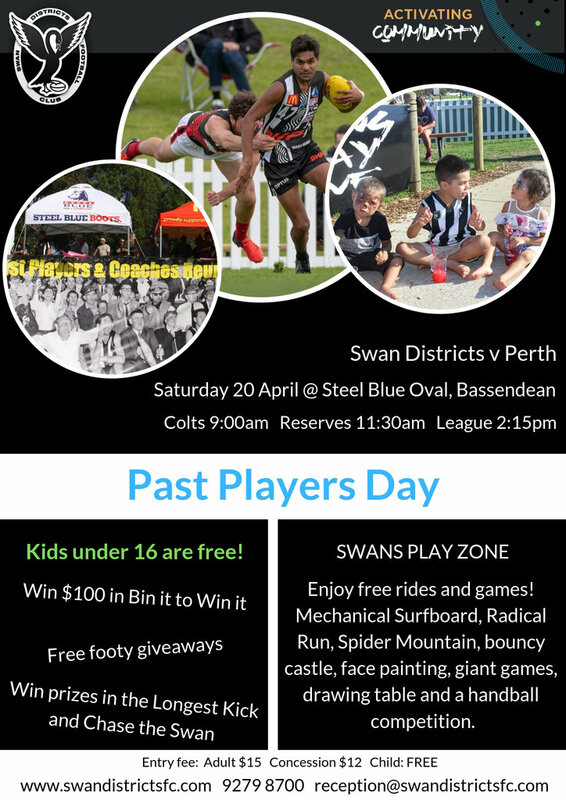 IT wasn’t quite the day Swan Districts' colts and reserves were after in the semi finals on Sunday with the reserves' season coming to an end but the colts still have another chance to book a place in the Grand Final for 2018. 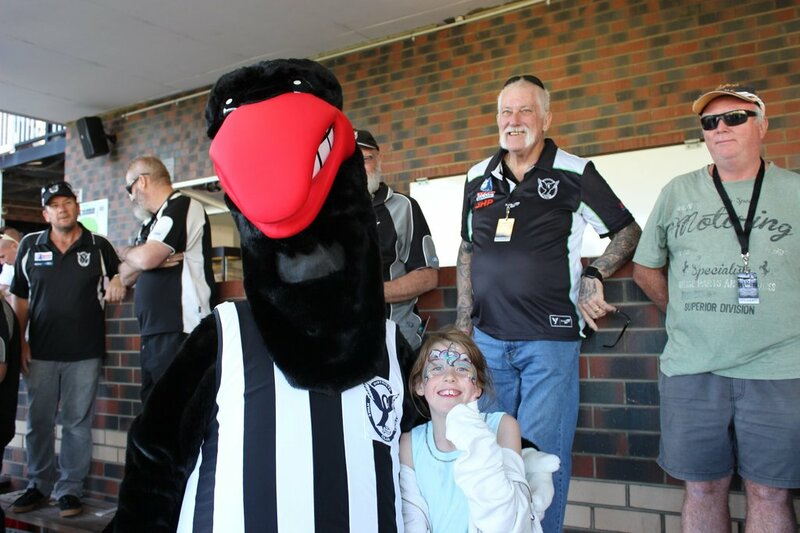 The Swan Districts reserves and colts teams both were coming off wins to open the 2018 WAFL Finals Series leading into their semi-final match ups on Sunday. That began with a colts second semi-final at Leederville Oval with Subiaco ending up beating Swan Districts 14.10 (94) to 7.6 (48). The reserves were in a first semi-final at Joondalup Arena and came up short against Claremont, with the Tigers beating Swans 22.3 (135) to 10.7 (67). That means the season is over for the reserves at Swan Districts but the colts now play in the preliminary final this Sunday against Peel Thunder at Fremantle Community Bank Oval for a place in the Grand Final against Subiaco at Optus Stadium. Starting with the reserves first semi-final at Joondalup Arena, Swan Districts was coming off an impressive elimination final victory against West Perth but Claremont started strongly on Sunday with six goals to one in the opening quarter. Claremont then piled on another seven goals to one in the second term to be in control by 67 points at half-time. Swans did fire back in the third quarter with four goals to three and managed another four goals in the last term, but it wouldn’t be enough with the Tigers running out 68-point winners to advance to the preliminary final against Subiaco. 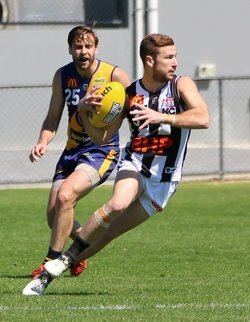 Steven Wityk kicked four goals for Swan Districts and Freddie Clutterbuck two to go with 25 possessions and eight marks. Adam Faulkner also racked up 31 disposals for the black-and-whites, Ethan Maguire 25, Callum Garcia 21, Josh Cipro 20, Josh Power 20, Albert Dean 20, Jackson Slater 17 and Chad Daniels 17. The first spot in the Colts Grand Final for 2018 went on the line on Sunday morning at Leederville Oval with minor premiers Subiaco taking on a Swan Districts on a high from winning its qualifying final. Subiaco ended the home and away season on top of the ladder to earn the minor premiership and the week off to open the finals series while Swan Districts played Peel Thunder in the qualifying final, and recorded a nine-point victory at Fremantle Community Bank Oval. So the Lions and Swans locked horns in the second semi-final at Leederville Oval on Sunday morning and it started with an exciting opening quarter with scores tied at quarter-time with both teams managing to score four goals apiece. While Swan Districts had done well to stick with Subiaco in the first quarter, the Lions kicked away in the second term booting five goals to one to end up with a 24-point lead at half-time. Subiaco maintained its advantage kicking the only two goals of the third quarter as well to head into three quarter-time leading by 40 points. The Lions further extended their advantage in the last quarter with another three goals to two to end up winning 14.10 (94) to 7.6 (48). That means that Subiaco advance straight to the 2018 Grand Final at Optus Stadium on Sunday September 23 while Swan Districts has another chance to make it by winning this Sunday's preliminary final against Peel Thunder at Fremantle Community Bank Oval. Kade Wallrodt kicked four goals for Swan Districts to go with 15 possessions, nine marks and seven entries inside the forward 50. Ethan Nordahl also kicked two goals for Swans to go with eight kicks and four marks. Mitchell Bain finished with 24 possessions and six tackles for Swan Districts while Blake Pescud gathered 18 disposals, Graydon Wilson 18, Seb Bright 18, Riley Garcia 16, Jackson Beck 16 and Denzel More 16. Swan Districts colts coach Greg Harding reflected on the game afterwards. "I thought we started really, really well and we had a couple of match ups that were working nicely but I just thought our ball-handling across half-forward late in the quarter allowed them to jump back into the contest," Harding said. "We probably should have gone in with a small lead but as it was it was equal and we were playing pretty well, but made enough errors across half-forward to give them the ball back where they are really strong. "They are super strong off half-back and their wings run really hard to get back involved to create spread. We turned the ball over in tough situations where we shouldn’t have and that allowed them to be in touch. "Then after that they seized complete control in the midfield and we weren’t collectively strong enough. The difference between this week and last week is that when we didn’t have momentum in the game, we were able to play strong footy forward and back to stay in it last week. "But this week we weren’t quite as strong and they were able to score quite easily. We couldn’t stop the bleeding and they got away from us which was disappointing, but we have worked hard enough to get a double chance and we'll go back against Peel and have another crack at making the Grand Final. Hopefully we then get another crack at Subi."